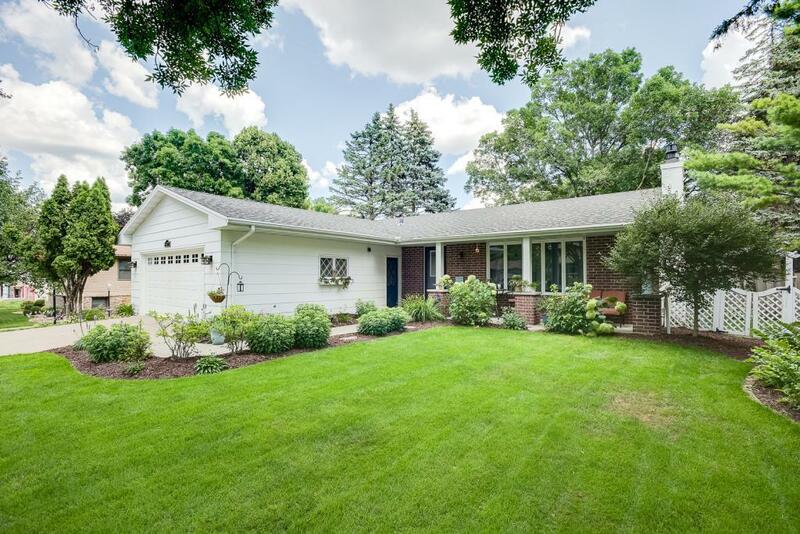 This charming 4 BR, 3 BA ranch is located on a cul-de-sac and is close to stores, parks, bike trails and a soon-to-be community pool! This elegant home is surrounded by trees, a private fence, beautiful landscaping, gazebo & swing. The home features hrdwd flrs on the main lvl, ceramic tile in the bsmnt, updated BA's & lrg master suite with a spa-like 3/4 bath. The kitchen, living room & bsmnt are newly remodeled w/ crown molding, leaded glass windows, stainless appl, a brkfst bar & 2 gas frplc.